As reported at Google Maps Mania, Google has released new Street View imagery in France. 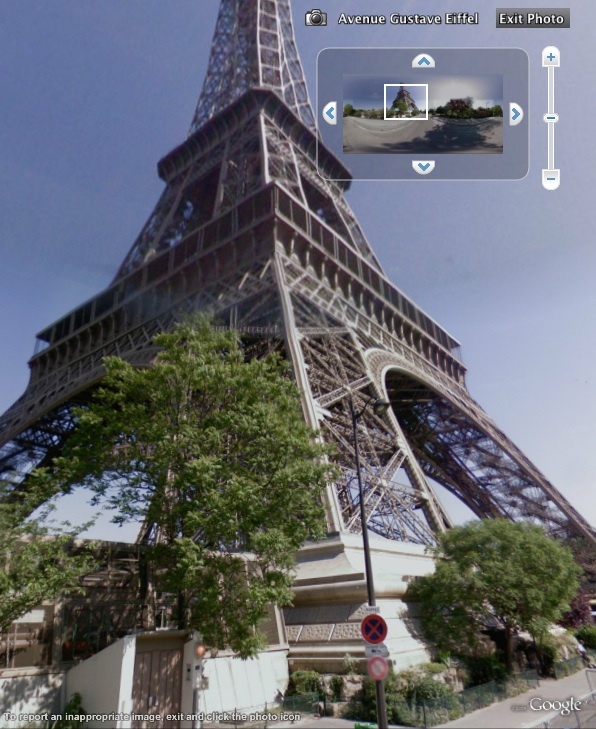 Google had already released Street View imagery in July for the Tour de France. Now they have more complete coverage for the following cities: Paris, Toulouse, Lyon, Marseille, Nice, and Lille. Most people are aware you can view the Street View imagery in Google Maps, but you can also see these new spherical panoramic photos inside Google Earth with a 3D interface. To see the images in Google Earth, turn on the Street View layer and zoom in a bit to see the camera icons over France. You can fly to a city covered with the Street View icons to find an interesting site. Then click on a camera icon near your desired location. Click "Show Full Screen" or double click the icon to enter the Photo Viewer mode. This mode lets you look in all directions using the mouse or keyboard arrows. You can also zoom in and out with the mousewheel. See a video demonstration of the Google Earth Street View imagery. Je n'avais pour ma part pas encore vu "street view" dans Google Earth et ça reste quand même assez impressionnant tout ce travail de mapping. Assez "Sysiphien"! - En s'approchant des icones d'images, vous verrez les "boules" de type Quicktime VR apparaître (la rue Daguerre et Plan B- Paris, dans l'image du bas). Double "click" sur la boule et vous entrez dans l'image puis possibilité de naviguer d'image en image (une images tous les 10m environ...). -- La vue de GE avec les boules fait d'ailleurs un peu penser à des vues dans l'env. digital de Brillantmont où il y avait ces sortes de "carrés" d'immersion dans le campus de BM.